Without spending the big bucks. 1. 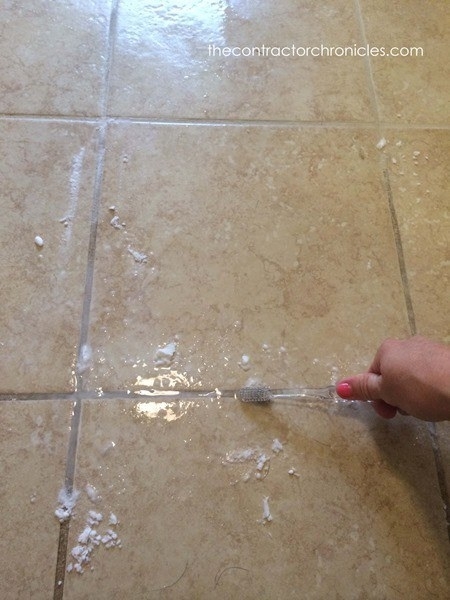 If you have tile on your backspash or your floor, give the grout a good scrub with baking soda, vinegar, and a toothbrush whenever it starts looking grimy. 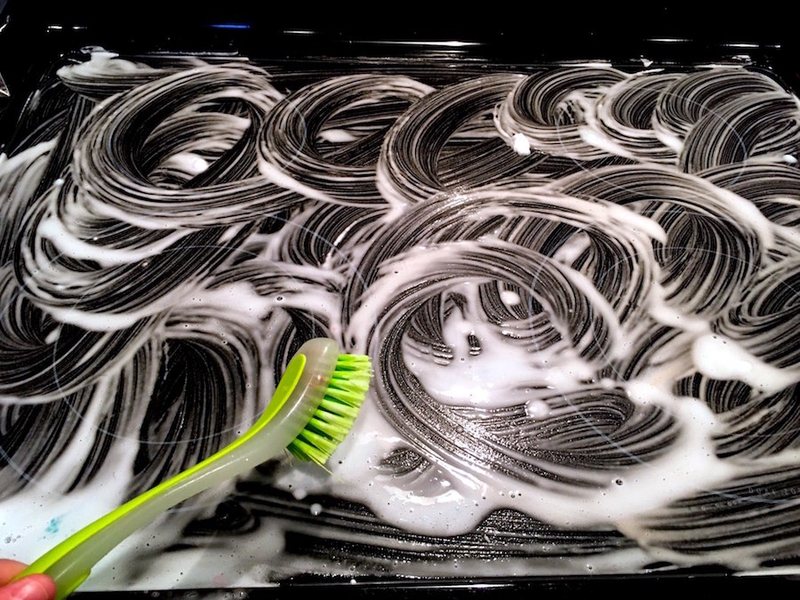 You just pack down baking soda, spritz it with a vinegar solution, lightly scrub with a toothbrush, and wipe clean. From The Contractor Chronicles. 2. 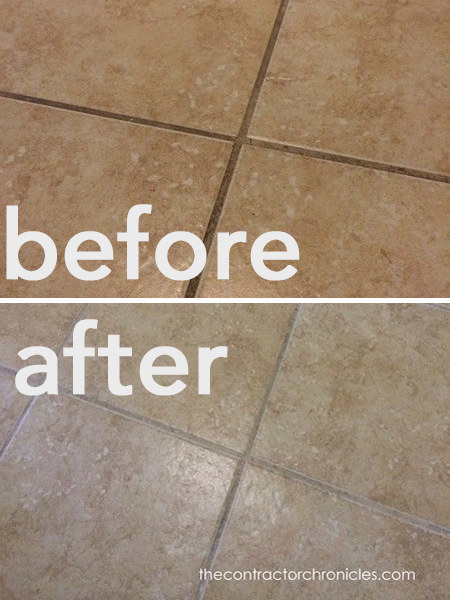 Or use a battery-powered scrubbing brush with any kind of grout cleaner (or even baking soda or vinegar) to get it done with even less elbow grease. 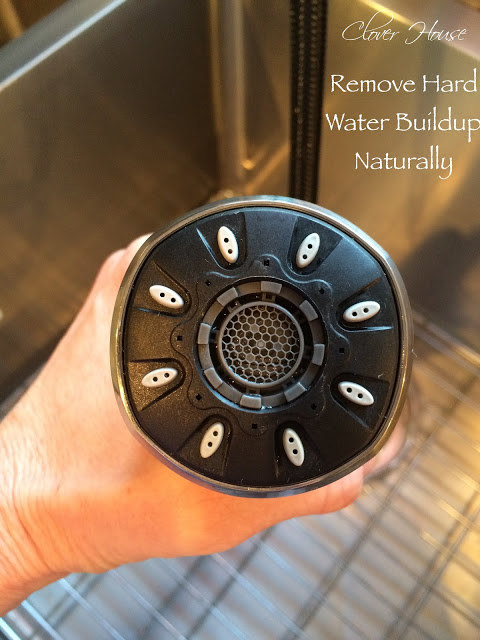 I have one and love it (and reviewed it) — I use a drop of castile soap in about 1/3 cup of water, and it works well. 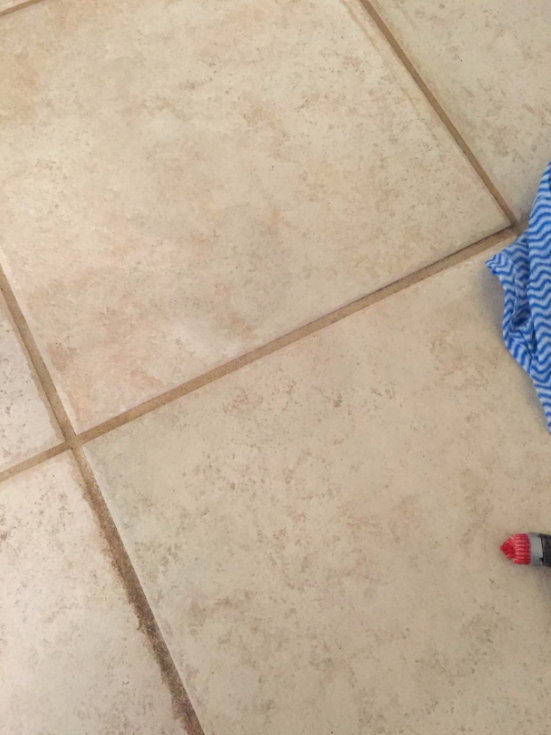 AGifford, the Amazon reviewer who took the photos above, also mentioned: "This is so easy my 7-year-old sat on the floor and did the scrubbing while I did the wipe up." 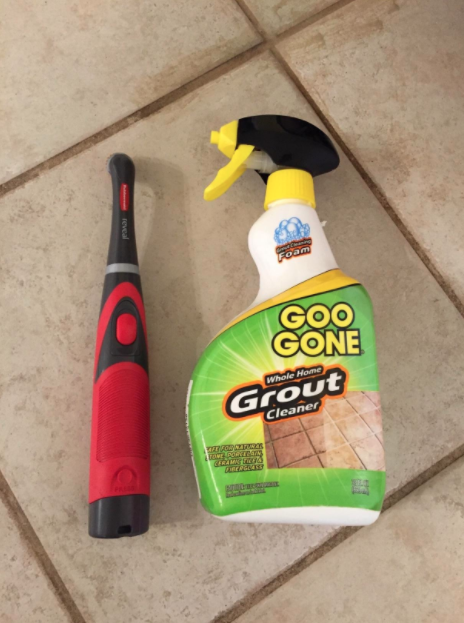 Get the battery-powered scrubber for $13.54 and two bottles of the grout cleaner for $19.99, both on Amazon. 3. 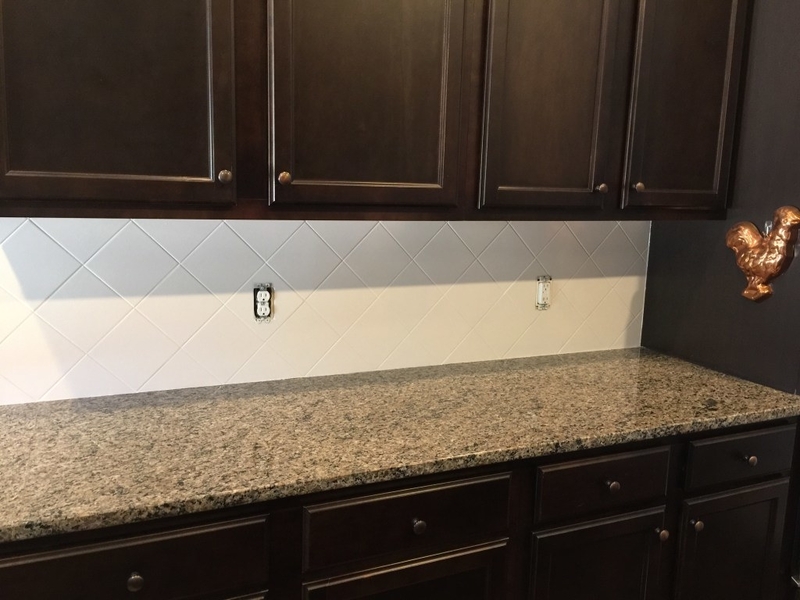 And if you really don't like the tile in your backsplash but don't have the budget to replace it, set aside a weekend to prime and paint it. Brown Dog Vintage has tips and a tutorial. 4. 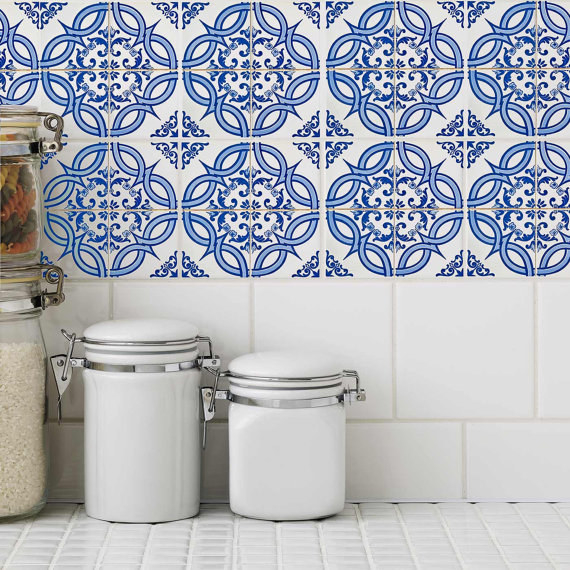 Or if you rent and just can't live with it anymore, cover the worst of the tiles up with removable decals. 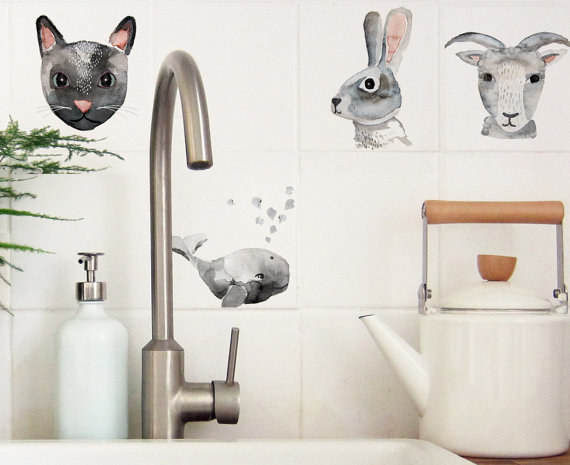 Get the cute four-animal set from nuukk on Etsy for $12.07. And a set of10 blue accent tiles from Stick Pretty on Etsy for $22. Then check out these home hacks for renters. 5. 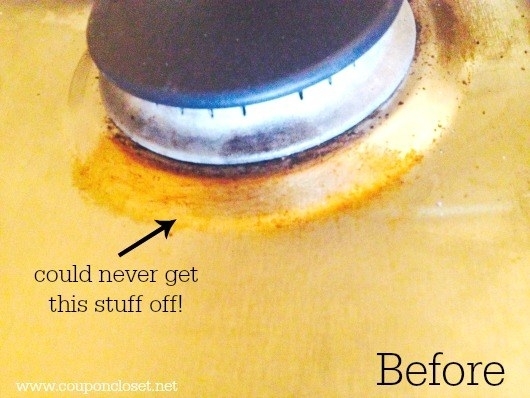 Wipe down that impossible greasy dust buildup on your stove and hood using mineral oil and a paper towel. I've done this multiple times and it always works like a charm! You can also use olive oil or canola oil, but if you do, be sure to wash them off afterward with hot and soapy water — otherwise they'll start to smell rancid. Get a bottle of mineral oil as an add-on item on Amazon for $5.79. 6. 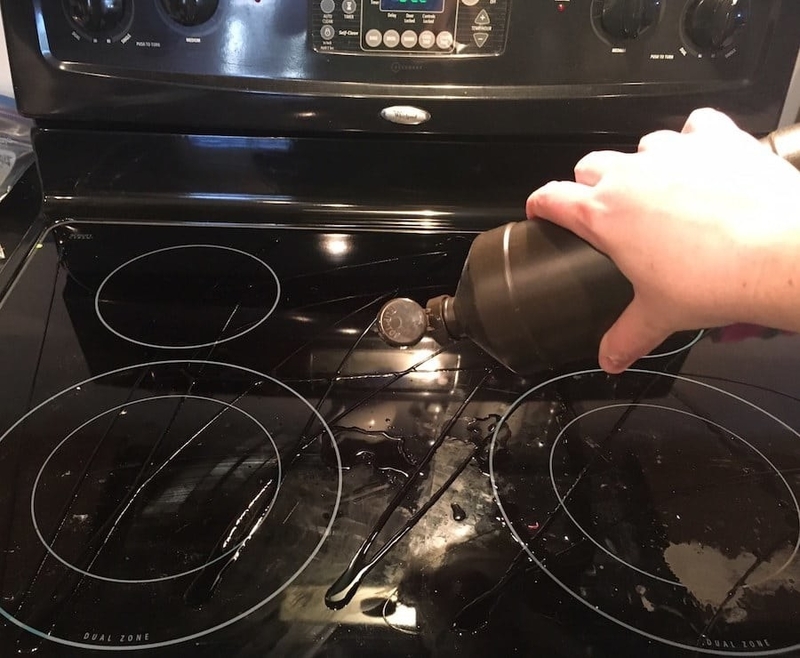 Pick up all the cooked-on gunk from your glass cooktop with a drizzle of Dawn, a dash of hydrogen peroxide, and a sprinkle of baking soda. Then just go to town on the whole concoction with a scrub brush, and wipe clean. From My Thirty Spot. Get a dish brush on Amazon for $4.99. 7. But if that doesn't work, bring out the big guns and get a deep cleaning kit made especially for glass and ceramic cooktops. It comes with a cooktop cleaner/polish, a brush, and a razor blade (for getting off the most impossible spots — just be careful not to scratch with it!). Get it on Amazon for $10.85. 8. 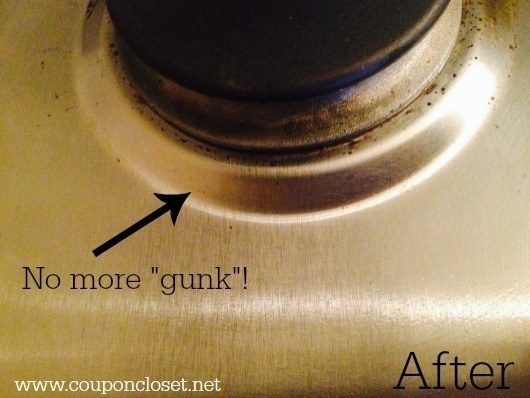 Quickly scrub off the cooked-on gunk from your gas or electric stove and burners with a classic, the Magic Eraser. Get eight extra-durable Magic Erasers on Amazon for $14.72 ($1.84 per eraser, Prime shipping), or seven from Target for $8.49 ($1.21 per eraser, ships with $25 order). 9. 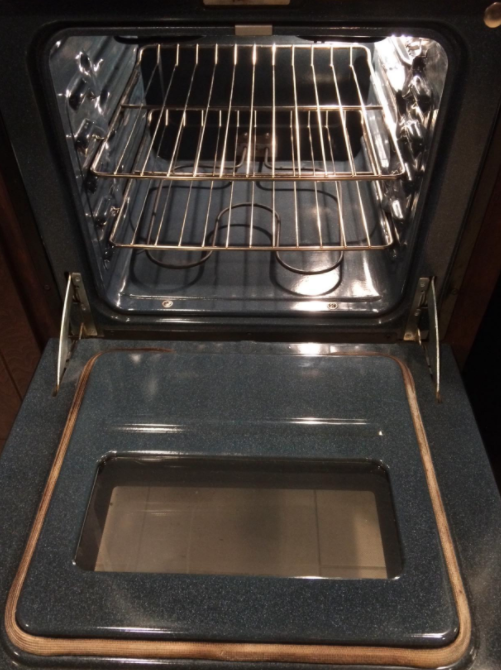 Make your burner grates sparkle ~without~ scrubbing by letting them sit in a gallon plastic bag with a little ammonia overnight. Everything will wipe off clean with zero effort on your part. If your burners are too big for gallon-size bags, try using larger turkey bags (get a pack of 10 for $10.95 on Amazon). From The V Spot. 10. 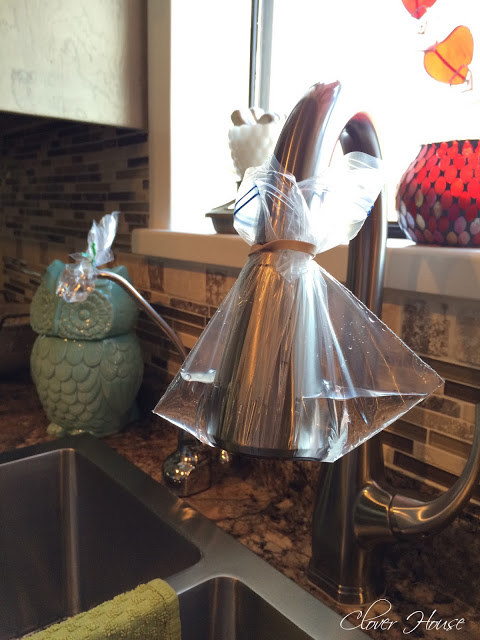 Dissolve hard water buildup on your faucets by filling a plastic bag with vinegar and letting it sit overnight. Attach it to your faucet with a rubber band! From Our Clover House. 11. 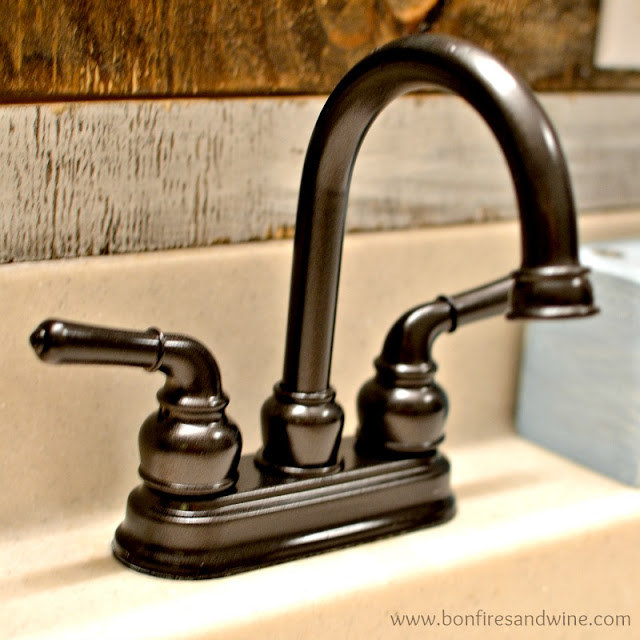 And if you love your faucet but hate the color, update it with a simple coat of metallic spray paint. From Bonfires and Wine. Get the oil-rubbed bronze paint from Home Depot for $6.76. 12. 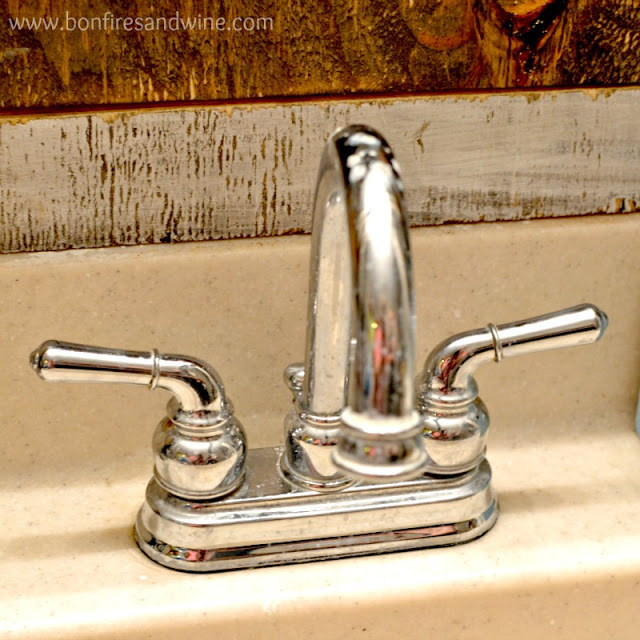 Baking soda, hydrogen peroxide, and a little elbow grease will take the most stubborn stains out of your porcelain sink. From Lemons, Lavender, and Laundry. 13. 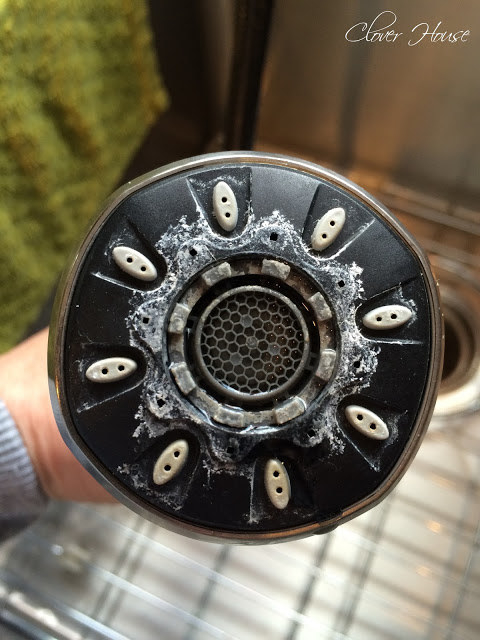 Wash your stainless sink like a dish, with plenty of hot, soapy water. Then, polish it with flour (yes, flour!) to make it gleam like it's just won an Oscar. Get the full tutorial on The Kitchn. 14. Remove set-in stains from your natural stone countertops using a paste of baking soda and water. Put the paste on the stains, then cover it with plastic wrap and let it sit overnight. If that doesn't remove them completely, this guide will help you figure out what to try next. From Bless'er House. 15. 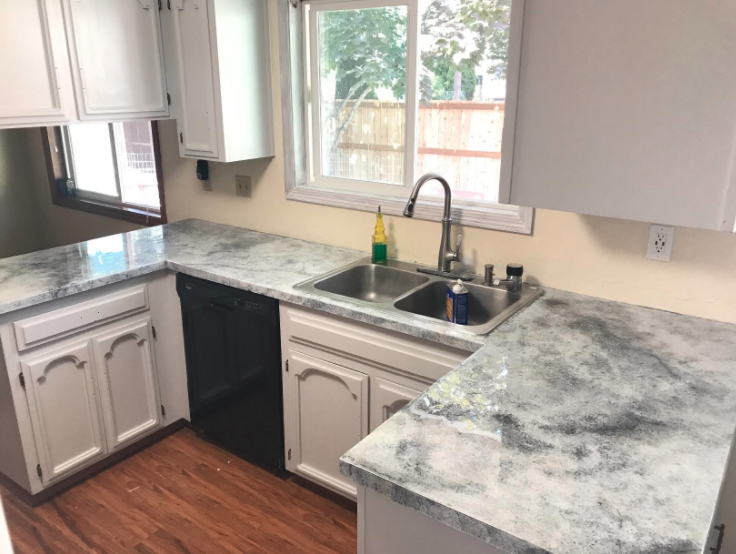 And if you can't remember the last time you re-sealed your stone countertops, you're probably overdue. Apparently you're supposed to re-seal every year or two! It'll help your countertop repel water, oil, and other things that may stain it. If you put the stone in yourself, can consult the dealer you bought it from for any particular recommendations if you want. Get a highly-rated stone sealer on Amazon for $19.49. 16. No stone counters in your present or your future? Grab a friend and spend a weekend refreshing your '70s countertops with a painting kit. Multiple reviewers with the most ~realistic~ results report looking up ideas on YouTube and blogs like this one. Get the White Diamond kit for $79.95, or the Black Granite kit for $79.95, both on Amazon. 17. Not a painter? 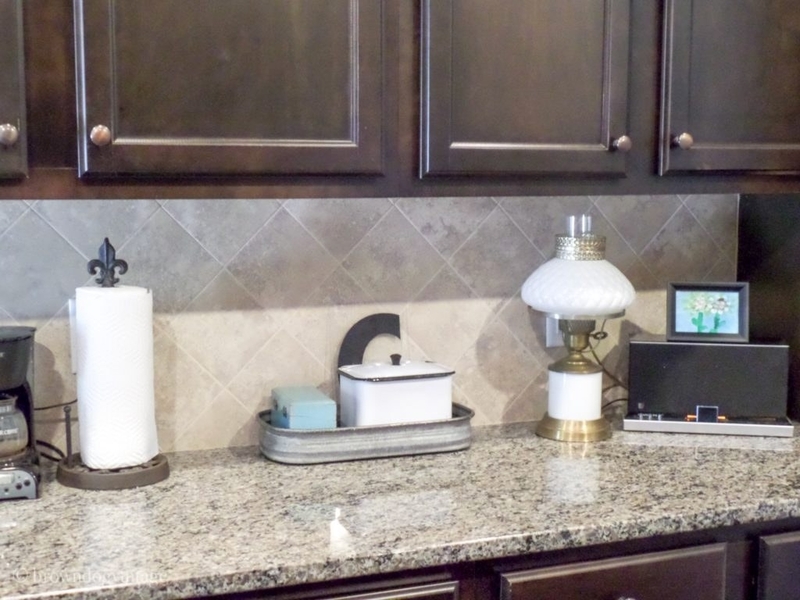 You can always cover an old countertop with a few rolls of contact paper. Bonus for renters: all it takes to remove the paper is direct heat from a hair dryer. Get a roll on Amazon for $8.99 (it's 17.72 inches wide and 6.5 feet long). 18. 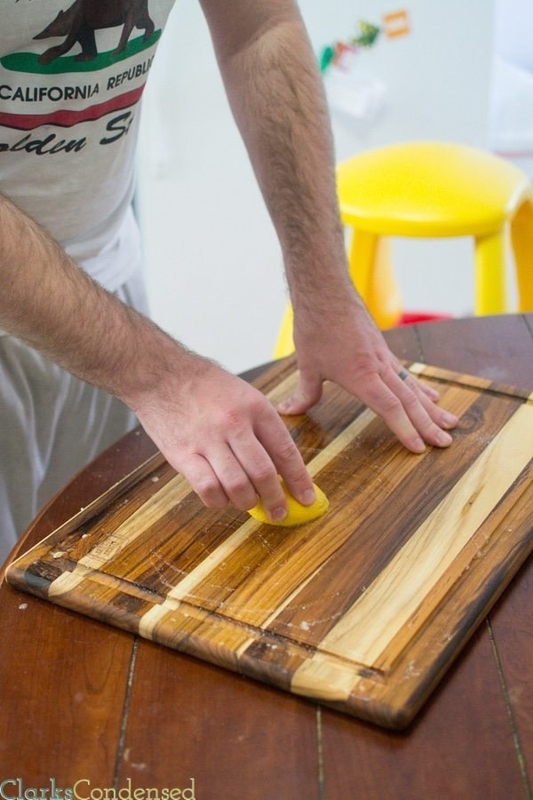 If you have butcher-block counters, or even just wooden or bamboo cutting boards, deep clean them with a salty lemon then condition them with mineral oil. That's right! Pour out some salt, then use half a lemon to scrub the salt around. 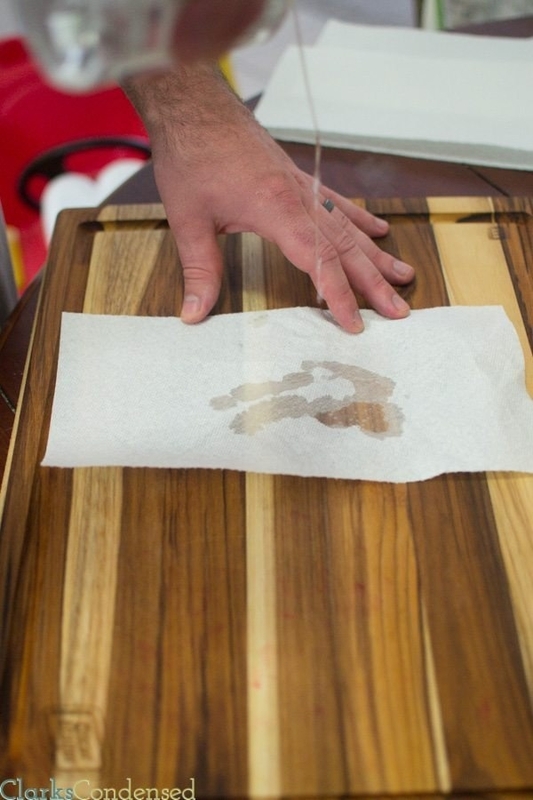 Let that dry, then use cutting board oil (which is just mineral oil that meets FDA requirements for contact with food — get some on Amazon for $6.34) to make the wood gleam. From Clark's Condensed. 19. Dust the tops of your kitchen cabinets, then lay down paper bags to catch all the new dust. Next time you go to dust up there, simply recycle the dusty paper bags. And replace them with fresh ones. From Simplify 101. 20. 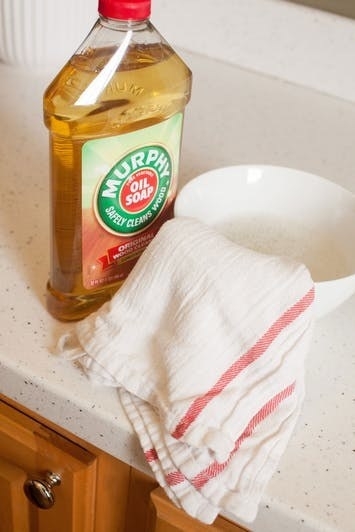 Get the gunk off your wood cabinets and other finished wood in your kitchen using Murphy's Oil Soap. It's a concentrate, so follow the directions to dilute it. It's The Kitchn's recommendation, and I've used and stand by it, too. Get two bottles on Amazon for $11.07. 21. 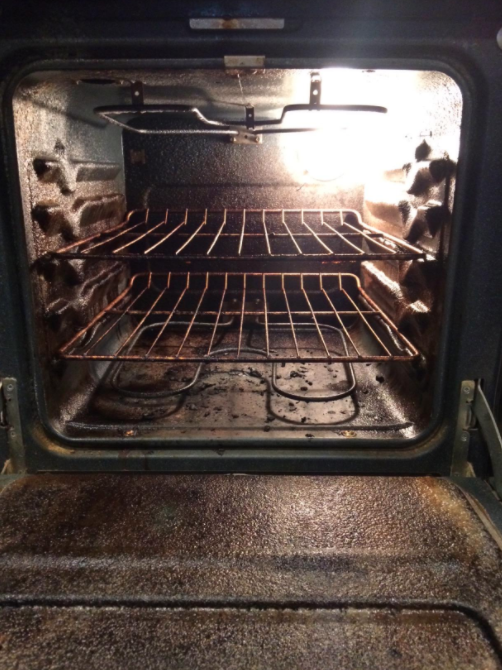 Let a heavy-duty (but fume-free) oven cleaner cut through months or even years of gunky buildup overnight. 22. And lay down an oven liner that'll catch all the drips and dropped things even if you cook an entire thanksgiving meal over it. And when it gets dirty, just brush or rinse it clean. Get a set of two on Amazon for $11.99. 23. 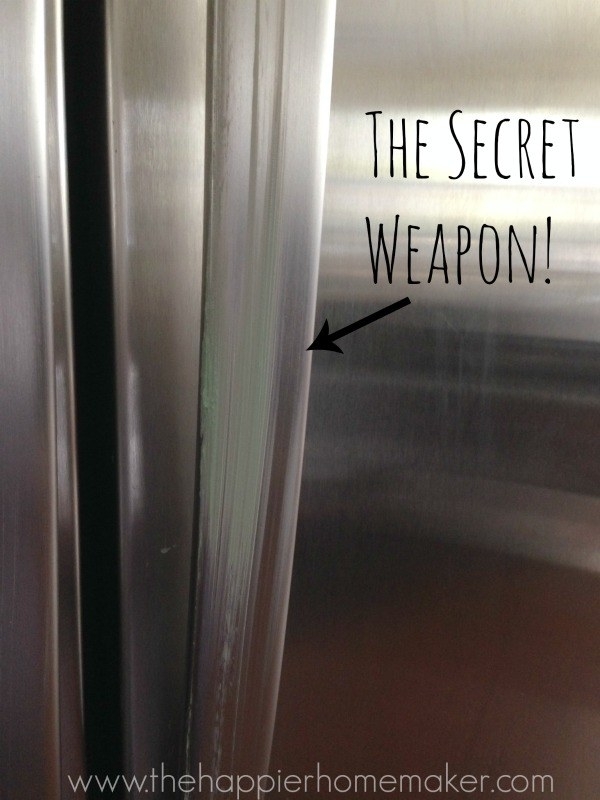 Clean all the gunk off your stainless steel appliances, then keep them finger-print free by rubbing on a light coat of car wax. 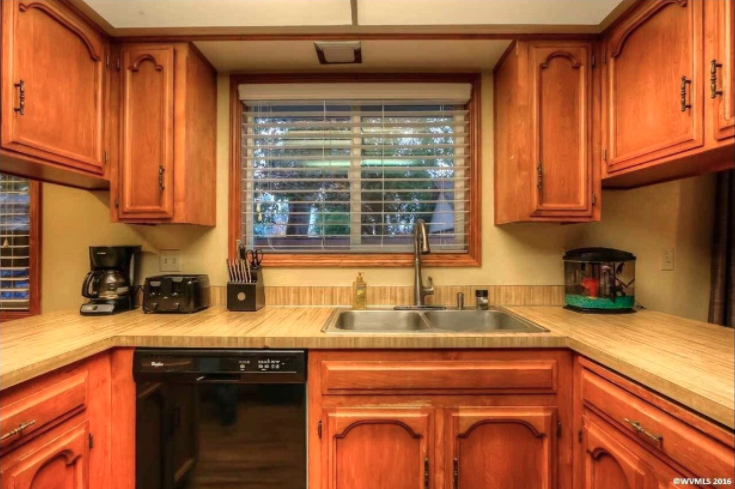 You can clean with vinegar or window cleaner, or your favorite specialty stainless steel cleaner. Then it's just like waxing your car: use a clean cloth to wipe on a little bit of the wax, then use another cloth to buff it off. From The Happier Homemaker. 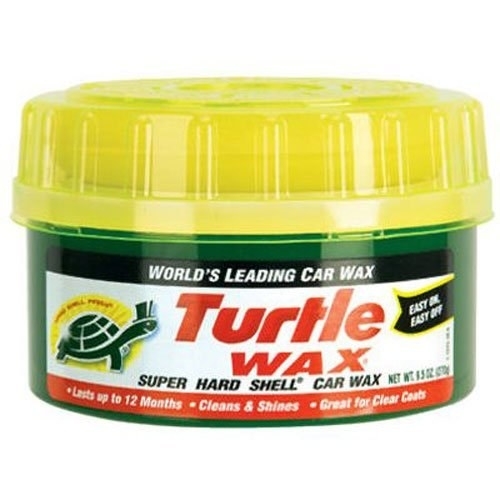 Get the wax on Amazon for $6.79. 24. 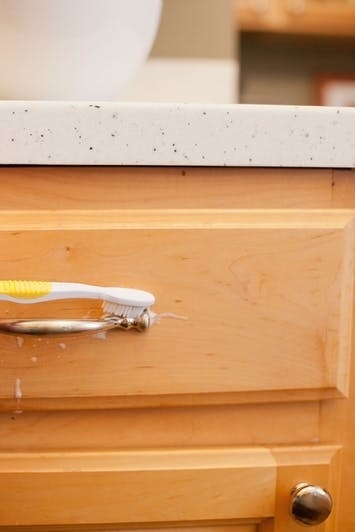 For a quick refresh of your cabinets and drawers on the cheap, replace (or just plain install!) your drawer pulls and cabinet knobs. Get a pack of ten similar drawer pulls on Amazon for $19.05+ (four finishes available). 25. 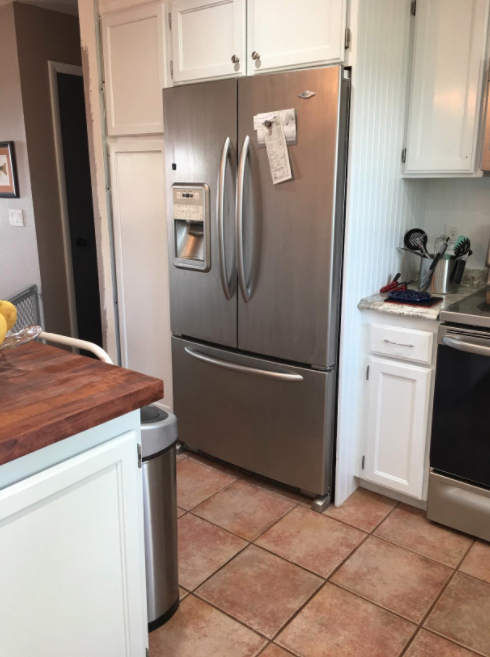 Transform your boring fridge from the '90s or early '00s into something more modern with a stainless-steel painting kit that uses 100% stainless steel. Commenters note you have to follow exactly what all of the instructions say, but in the end it's MUCH cheaper than splurging on a new appliance. 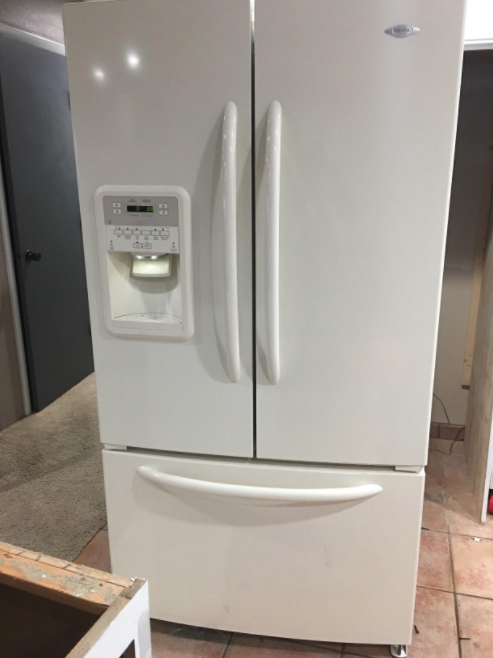 Get a fridge-sized kit from Amazon for $77.55, and a range + dishwasher kit for $24.95. 26. Simple-to-install under-cabinet lights will make it easier to see what you're doing while you cook, and give your kitchen a lovely warm glow. You can get them in all sorts of styles: puck lights, strip lights, or tape lights, which are pictured above. They're self-adhesive and come with a dimmer switch. Get 16 feet of them on Amazon for $13.99 (available in daylight white and warm white). 27. Hate your floors? Cover up at least some of them with a pretty, easy-to-clean vinyl runner that looks like the accent tile of your dreams. Get one from Food52 for $180.